He also said that social engineering is bad whether it’s right wing social engineering or left-wing social engineering. We’re not social engineering anything. We’re trying to reduce the size of government. My God, it is inexplicable, is my point. Obviously I haven’t spoken to Newt or anybody on his team about this. But it’s not explainable. There’s no way that I can sit here and give you a rational set of reasons that you may not have thought of. I read that and I’m scratching my head like all the rest of you when you read it or when you heard it. It’s just mind boggling. So that has led George Will now to proclaim, “Newt is not a serious candidate.” According to George Will, the Republican nominee will be one of two people, Tim Pawlenty or Mitch Daniels. That’s it. Those are the only two serious guys. But let’s go back to Indiana for a second. This judge of the Supreme Court is a Mitch Daniels appointee. The judge, Steven David, who wrote for the court, said that if a police officer wants to enter a home for any reason, or no reason at all, the homeowner can’t do anything to block the officer’s entry. It was just a little blurb, one of many blurbs at Drudge that I saw on Saturday. And of all the things on Drudge, that’s the thing I clicked on first, I said, “What in the world is this?” So when Kathryn said, “What’s the big news?” on Saturday, this is the first thing that came to my mind to mention to her. I don’t know what Will thinks about Romney. I’m telling you what Will said, that Newt’s not serious. That’s the new term now, by the way. Newt’s not serious, it’s gonna be Pawlenty or — well, you know, Mitt’s got a problem here that’s somewhat similar to Newt’s in a way. (paraphrasing) “I was for Obamacare before Obama wrote it. Now I’m opposed to Obamacare but I liked my version of it in Massachusetts and don’t tell me it was a mistake because it wasn’t.” Okay, fine. This is a little maze here, a little circuitous route thing that I’m having trouble keeping up with. (interruption) How am I gonna pick somebody for you? That’s not my job, to pick somebody for you. (interruption) You think it is? All right. RUSH: Let’s go to the Newt sound bites. Yesterday on Meet the Depressed, David Gregory was interviewing Newt, and they have this first question here. Gregory said, “What about entitlements? The Medicare trust fund. Stories have come out over the weekend that it’s now gonna be depleted by 2024…” That’s another crisis: How many times have we had the story that Medicare and Social Security are gonna run out of money before we thought so? You know, I used to be ensnared by these stories. I used to be entrapped by them and I used allow myself to get all, “Oh, no, really?” But it’s just a common technique now, and I refuse to emotionally fall for it. We don’t have the money for Medicare now! What do you mean Medicare is gonna run out of money by 2024? We don’t have the money for Social Security now. What do you mean we’re gonna run out of Social Security money before we thought so? We don’t have it now! What is $14 trillion in debt? What is a $1.6 trillion budget deficit? We don’t have the money now. The idea that Medicare and Social Security are still solvent is a joke, and so now it’s panic city. “Guess what? Guess what? We’re gonna run out of Medicare money earlier than we thought, 2024!” Yeah, right, really. We’re out of money now. Why are we borrowing $1.6 trillion every year, especially when they tell us that it’s because of entitlements? GINGRICH: I don’t think right-wing social engineering is any more desirable than left-wing social engineering. I don’t think imposing radical change from the right or the left is a very good way for a free society to operate. I think we need a national conversation to get to a better Medicare system with more choices for seniors. But there are specific things you can do. GREGORY: But not what Paul Ryan is suggesting! GREGORY: Which is completely changing Medicare! GINGRICH: I think that that is too big a jump. I think what you want to have is a system where people voluntarily migrant to better outcomes, better solutions, better options; not one where you suddenly impose upon the… I don’t want to… I — I — I’m against Obamacare which is imposing radical change and I would be against a conservative imposing radical change. That’s the niche that Newt’s trying to find here. The problem is that it’s politically tone deaf. Well, maybe it isn’t (I’m not sure it’s calculated), but he has to know that virtually the entire Republican establishment, including the DC insiders and the Tea Party are in full-throated support of Paul Ryan’s idea in Medicare — and, in fact, Ryan’s whole budget. Now, I also know that Newt, when he talks about this — specifically when it comes to Medicare and the mandate — he’s going to say that his mandate’s from the states not the Feds, just like the states mandate auto insurance — and I know that he’s going to suggest that it’s simply not just that others have to pay for the health care that other people have who don’t pay for it. Somehow we’ve got to change that, and those who aren’t paying for it, they’re gonna have to start paying their fair share. I know what he’s trying to do with that, but this is the politics of it right now. There’s a groundswell here for a massive, massive reduction in the size of government. Medicare and Social Security are untenable. I don’t think what Ryan’s doing is “social engineering” that’s drastic. He’s not taking current enrollees and taking everything away from ’em. Current enrollees play by the rules until they die. It’s people not yet on the rolls who are going to be told, “Okay, by the time you get there you’re gonna have to make some changes. We just can’t afford it anymore. Sorry. That’s the truth of the matter.” Ryan’s proposal would have people choose from a list of coverage options and have Medicare make premium support payments for the plan they choose. It sounds like it’s voluntary, in terms of the ultimate choice. Now, I don’t see where allowing people more choice in their Medicare plan is social engineering or radical. Now, it’s true that we on the right can be radical, depending on what we’re measured against, but by definition we’re not. We’re mainstream. But by pure and simple definition, all of Obamaism is pure radical. It is dead set opposed to traditional Americanism, as defined by the way the country was founded. That’s radical. Some people like radical. Some people say radicals are the ones that get things done. But “radical” meant in a derogatory defamatory way, we’re not that. We’re the height of reasonable. So to be lumped in with radicals? I’m telling you, Newt’s just trying to find a niche here. Doubt don’t me on this, folks. I know niches. I don’t do it, but people do. This program was accused of trying to find a niche when it started. I’ll never forget being amused reading about how I decided to position this program. I would read stories that talked about my original syndication partner and how we “combed” the nation. That was said to be the secret of my success. We’d combed the nation, we looked at the media landscape and we saw an opening and headed right for it — and there was no such thing. There was no national survey; there was no national investigation. There wasn’t a focus group survey. There wasn’t a bunch of polling done. A guy with two hours time on an ABC satellite decided to take a huge risk and put me on it, trusting my performance in Sacramento. He said, “Okay, let’s see what happens here.” I mean, we literally threw it up against the wall. There was no grand strategy other than try to do a good radio program. The last thing we did was trying to fill a niche. I don’t like doing niches. It’s phony. Plus, it’s shooting way too narrow. It’s the same thing I said when we had the discussion last week about Hispanics and other minority groups and how political parties ought to go out and get ’em. I could never do it. I couldn’t tailor men and women on one day for this finite group of people and then have another message about another. Like if we were to do this radio show and say, “Hispanics, you listen between 2:30 and three today! That’s when we do this show for you. Women, you listen from one to 2:45; that’s when we do the show for you.” That’s the radio equivalent. I didn’t do it, don’t do it, wouldn’t know how to do it. I think all of us here really do want a big tent. We want a majority made up of the way people think and live and how they believe, not what they look like — and not where they come from. You’re not gonna build anything like that trying to fill a niche, unless you want to say that America is our niche — which, I’d be totally supportive of that niche, but I wouldn’t want to subdivide it any further than that. GINGRICH: I believe all of us — and this is gonna be a big debate — I believe all of us have a responsibility to help pay for health care. I’ve said consistently we ought to have some requirement you either have health insurance or you post a bond or in some way you indicate you’re gonna be held accountable. Okay, so is this a big push for independents? Is he trying to establish a niche? I mean, who knows. I think it’s largely niche politics. But it’s also standing up to conventional wisdom on the right. It’s standing up to what is considered now conservative conventional wisdom. The attack on Paul Ryan and his Medicare proposal is part and parcel of this. If Newt wanted to throw a nuclear bomb into the whole Republican apparatus, he did it with the two comments that we played for you just now on Meet the Press yesterday. RUSH: Bridget, Springfield, Missouri. Thank you for waiting. You’re up next on the EIB Network. Hi. CALLER: Hi, Rush. It’s an honor to speak with you. CALLER: I am a Newt Gingrich supporter, so let’s state that up front. I think he gets it. He gets the things you just said. He has actually called Obama a socialist. He speaks of him as a radical left-wing president with policies that endanger this country. Not just the economy, but national security. It’s as though Iran and North Carolina are off Obama’s radar screen. He’s not even thinking about them. As to these comments that Newt made over the weekend, I wish he’d talked to me first; I wish he hadn’t said this stuff, but I don’t think it’s as bad as people are making it out. RUSH: All right, so you still support Newt? RUSH: You do. Okay. Well, to each his own. That’s fine. You don’t think that he has proverbially stepped in it? CALLER: Well, yeah. He’s definitely stepped in it, but I still support him. I mean, everyone makes mistakes. I used to believe in global warming for a little while and then I was cured of it. You helped cure me of it. Another point that helped cure me of it was I remembered that back in the seventies people were talking about an ice age. I haven’t seen an ice age yet, have you? RUSH: — in this last winter. Okay. CALLER: What you’ve said about the sunspots convinced me that was all just ridiculous. RUSH: What’s important is to realize that whether it is global warming or an ice age, it’s all still BS. Those are nothing more than tried-and-trued liberal tricks. It’s all part of the game of Alarm, Frighten, Scare. They’re trying it now with the debt limit. They tried it with the continuing resolution. They used it on the economy. We needed TARP; we needed all of this stuff. We needed this stuff really quickly. Now it’s the debt ceiling that everybody’s in a panic over, and there’s no reason to panic, in terms of the country dissolving into itself and ceasing to exist. That’s just the way they play the game. It’s all oriented toward creating a set of circumstances so dire that you alone, as an individual, cannot matter. You can’t fix it. All you can do is help. But Washington — the smartest people around, government — they have to fix it with your support. You have to agree to have your taxes raised. I don’t care whether it’s the debt limit or global warming or flooding, you have to agree to have your taxes raised. You have to agree to have your lifestyle downsized. Whatever the issue, they ladle guilt upon guilt upon guilt in their attempt to get you to go along with it. Most people’s lives don’t mean anything, in their own minds. Most people want to be somebody. Most people want to matter. Why do you think everybody does all this social media stuff? Everybody wants fame. Everybody wants to be noticed, everybody wants to be known, everybody wants to be famous for a while. Everybody wants to matter. So you come along and you say, “You know what, you can save the planet! Go buy an electric car. You can save the planet: Support a tax increase on those rich clowns so we can build windmills.” Wow, what a great way to give your life meaning. Why, you’re saving the planet! It’s all tricknology. This is Glenn in Durham, North Carolina. It’s great to have you on the EIB Network, sir. Hello. CALLER: Thanks, Rush. 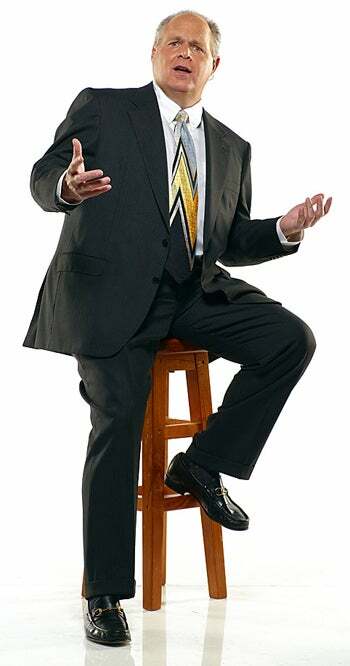 Rush, Mr. Gingrich is about Mr. Gingrich. He’s done commercials for and with Hillary Clinton, he’s done a commercial with Nancy Pelosi, and Mr. Gingrich is simply about Mr. Gingrich. That’s all he cares about. He wants his 15 minutes of fame. Now I understand, Rush, why you don’t have guests on your show: Because you would have to actual defend this poor slob. But Mr. Gingrich deserves no attention from any of us conservatives. CALLER: He sold us out a long time ago. RUSH: Hold it a minute. Wait a minute, now. Why would I have to defend him if I had him as a guest? You’re half right in why I don’t have to guests, but there are other reasons beside that one that are more relevant. But why would I have to accept what any guest says? CALLER: Well, I guess I’m referring to the colleague of yours that comes after you generally in the afternoon who’s been propping up this poor slob for a long time. So it’s not you, Rush. It’s just other talk show hosts, one in particular that has made a career out of propping up this poor slob, Newt Gingrich. RUSH: Wait a second. (laughing) You are intent here on referring to Gingrich as “a poor slob.” It’s about ten times you’ve done it here. RUSH: No, I think we get it. I think we get it. RUSH: All right. Well, look, Glenn, there’s no doubting where you are. I would have been nice to him. I’m nice to people, to guests. I just… (sigh) Frankly, folks, “I don’t care what anybody else thinks,” is the reason I don’t have guests. I cannot sit here and act like I don’t know what’s going on until somebody on this program tells me. I just cannot. Well, I have a… (interruption) No, I don’t know everything. (sigh) It’s not in me here to start acting deferential when I’m as informed about the subject matter as any guest I would have is. Open Line Friday’s enough. You know, once a week, and those lovely people are not even professionals. All right, who’s next? Where we go next? Lucena in Katy, Texas! Hello and welcome to the EIB Network. Hi. CALLER: Great. Well, I have a theory about why I think Newt attacked Paul Ryan’s Medicare plan, and I think it’s really an attack on Paul Ryan — and the reason I say that is that if you think of one person who we conservatives might really flock to if he would change his mind and run for president, I think Paul Ryan would be so hard to beat. And I think that Newt is getting to the desperate stage where enough is being asked about his personal life and his background that he thinks that he has to take a swing at somebody who might possibly come out and whip him, and I think that that could be Paul Ryan. RUSH: Well, this is fascinating to listen to all this. RUSH: Well, no. It’s fascinating to sit here and listen to you and Glenn, the other guy who used the word “slob” ten times. It’s fascinating to listen to this, because I know Newt. It’s fascinating for me to listen to this. It’s not a cut. Please don’t misunderstand. You don’t know him as I do, and it’s just fascinating to listen to people evolve theories about why he’s doing something here. I would disagree with you that this is rooted in a fear of Paul Ryan. You probably also think he might be a little jealous that Ryan’s getting all of this great publicity with his plan, that that might be bothering Newt. Would I be right there that Newt might be a little jealous, too. CALLER: No, I think Newt at heart — just after having watched him for so many years — loves this country and he thinks he would be the best president that could be elected, and he thinks he would do the best job of anyone out there. Having said that, he’s a fighter, and if he feels like someone is potentially in his way, and he really should be the president, I do think that he would act ahead and early and try to take the legs out from under someone who might be getting too much traction with the conservative base — and I really do feel that Paul Ryan is one of those people that has kind of that Reagan quality. If he looked into the camera and talked to the American people about making hard choices, I think people would follow him. I don’t feel like Newt has that connection. RUSH: In practical terms, now, there’s only one thing that’s wrong with that, and that is this: Paul Ryan is not one of Newt’s opponents. Paul Ryan is not running. So there’s no reason, in an electoral sense, to take Paul Ryan out. Paul Ryan’s not gonna get drafted. Ryan does not want to be president. He’s one of these people I think that said not his time, not ready yet. There are other people, however, who are running and they are in Newt’s way if he wants it. So I think the distancing himself here, the taking issue with Ryan… You know, folks, it could be something as innocuous as bad staff. It could be a staff error. It could be that I was right in the first instance, that Newt’s seeking a niche, trying to go where nobody else is, for whatever reason — attracting independents and so forth. Regardless the reason, you’d have to say that as we sit here and speak now, it isn’t working. It’s got a lot more people opposed. A lot of people inside the Republican establishment have come out in full-throated opposition to what Newt said (which may also be an objective, by the way). Time will tell where all of this is headed. As it is right now, most people look at it with raised eyebrows, cocked head, say, “This doesn’t make any sense. Ryan’s not running. Everybody’s rallying around his idea. We gotta do something about it.” We’ll see. 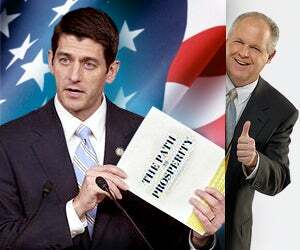 RUSH: I know a lot of people who think that Newt’s comment on Ryan is purely jealousy. I know a lot of peoplewho think that. 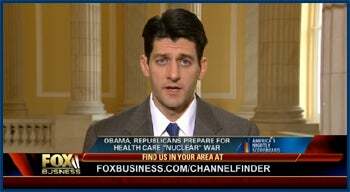 Ryan is credited with being the thinker of the moment, a great thinker of the day, good policy guy. And Newt views that as his role. I got an e-mail: “Rush, it doesn’t matter if Ryan’s running or not. Newt doesn’t like anybody talked up as smart.” The opinions run the gamut out there. I think at the end of the day most people don’t care why Newt said it, it’s just enough that he did, and they’re scratching their heads, “This makes no sense. Everybody is rallying around this. And to be the lone wolf tearing it down cannot possibly be helpful to him. How does this help Newt?” People are asking themselves, how is Newt helping himself doing this? And nobody can come up with that answer. Nobody can see how it is helpful for Newt, and that, ladies and gentlemen, is the genuine question here. RUSH: Look, I gotta do something here. Sean Hannity was impugned on this program in the last half hour. A guy called up talking about Newt. He said unflattering things about Newt and accused Sean of basically being a blind supporter, and that is not the case whatsoever. You know, I don’t like it when other people are impugned on this program unless I’m the one doing the impugning. (interruption) Well, the… (interruption) Yes, he did. He didn’t say Hannity’s name but he said the personwho follows me. Hannity and Newt go way, way back to Georgia and so forth. They’re close personal friends, but that’s as far as it goes. Hannity is not gonna compromise what he believes for the sake of friendship when it comes to his career, the country or any of that sort of thing. It makes me nervous when people… ‘Cause I like Sean. He’s a good friend of mine. He’s a former guest host of this program, and there’s not a rotten bone in his body. There’s not. He’s not the problem. As I say: If anybody’s gonna be doing the impugning on this program, it’s gonna be me. WADE: So, what do you say to Newt Gingrich? RYAN: Well, with allies like that, who needs liberals? RUSH: And that’s his answer. With allies like that, who needs liberals? That’s Paul Ryan, Don Wade and Roma on WLS in Chicago. Here’s Peter in Rochester, New York. Great to have you on the program. Hi. CALLER: Hey, Rush, listen, I think Snerdley and you both know what’s going on with Newt, and to quote my brother-in-law, Les, who is an expert on women, his wife got to him. RUSH: Now, who says this? Whose theory is this? RUSH: — said that Newt’s wife got to him? CALLER: Well, I’m saying it, but my brother-in-law is an expert, and I think that a lot of people, a lot of people I know, anyway, are talking about that, that his wife got to him. This is the feminized Newt. You know, he got really contrite. He got really apologetic. You know, he had to search his soul. He became a Catholic recently, and I’m not impugning the Catholic church, but I mean when people are throwing all of these questions at him about, “What about your past? What about your past?” and there he is searching his heart and looking deep inside and, blah, blah, blah, all like that, I think that in that process of contrition, he got feminized and went off the deep end a little bit here. GINGRICH: Oh come on, David. GREGORY: What did you mean? What was the point? GINGRICH: That’s bizarre. This kind of automatic reference to racism, this is the president of the United States, president of the United States has to be held accountable. Now, the idea that — and what I said is factually true, forty-seven million Americans are on food stamps, one out of every six Americans is on food stamps, and to hide behind the charge of racism? I have never said anything about President Obama which is racist. RUSH: He’s right about that. It is a way to not hold Obama accountable and a way to defuse a substantive criticism. And, by the way, would somebody help me out, what is racist about calling him a food stamp president? Why is that automatically racist? Is every food stamp person a black? Well, of course not. We got 47 million Americans on food stamps. There aren’t that many black people in the country. I mean there are what, 13%, the voting population? (interruption) Well, I know, the racism is in Gregory’s mind. The racism here is in the minds of these people on the left. Anyway, no hint here as to whether or not his wife gave him that answer. Newt I’m talking about. RUSH: Joe in St. Louis, I’m glad you waited, sir. You’re up next on the EIB Network. Hello, sir. RUSH: Wait, wait, wait, wait just a second. I remember the Pelosi commercial, sitting on a couch out there in the Capitol talking about global warming. CALLER: I thought they were on a park bench or something like that. CALLER: He’s gonna work with her on global warming. RUSH: What was the Hillary ad? I can’t remember the Hillary commercial, though. What was that? CALLER: — about how we need to help the 40 million people who are uninsured. RUSH: Oh, yeah, yeah, yeah, yeah, yeah. Well, he’s answered that. We got a mandate. CALLER: Now, you tell me, what does Barney Frank or Anthony Weiner or John Kerry — the point is, people like Rush Limbaugh and Michele Bachmann, they live the life, they do what they say and they don’t make a big deal about it. Barney Frank and all these guys, the only time they do anything for anybody else is if they’re doing it with my money or your money. When do they ever sacrifice of themselves for anybody? Never. I would have Michele Bachmann’s baby, if I could. RUSH: (laughing) You would have Michele Bachmann’s baby. CALLER: Well, you know what, Rush, she’s the only woman in the Republican Party with any cojones anyway. RUSH: Yeah, there’s a couple others, but I get your drift. I remember what it was, Newt appeared with Hillary in a press conference to support health care legislation. They did not do an ad together. It was a joint press conference. I do remember that now. Okay, look, Joe, I appreciate the call. Thanks el mucho. I really do appreciate it. RUSH: Ray in Atlanta, hello, and welcome to the EIB Network. Great to have you here. CALLER: Listen, I have a comment about the Newt Gingrich dustup. Does anybody on our side think that a Newt Gingrich presidency wouldn’t be light years — I mean, light years! — ahead of anything the Obama administration can offer? RUSH: No, nobody thinks that. I know what you’re gonna say. I’d vote for Elmer Fudd over Obama. RUSH: This is why I’ve had my problems with people trying to destroy Sarah Palin. I don’t think Obama can compare to her in any way, shape, manner, or form other than his voice is better. That’s it. I’d much prefer Newt over Obama; there’s no question about that. So what are you actually saying here? CALLER: What I’m saying here is that this is… You’re an NFL fan. This is like training camp. I don’t have any problem with people fighting and getting down in the trenches, and certainly Newt’s gonna have to ‘splain himself, as they say. But the bottom line is we have got to keep our eyes — as conservatives, as Republicans — on the fact that we’ve got to get rid of this person in the White House. I’m not saying we don’t fight and fuss as families but once the team is chosen, like an NFL team, it’s our team. RUSH: Let me tell you something, now. You talk about beating Obama. I don’t know that the way to beat Obama is to agree with him on health care mandates when the ENTIRE Republican Party — forget conservative, when the entire Republican Party — is basing its opposition and its existence on the fact that they don’t support the notion of the federal government forcing anybody to buy anything.